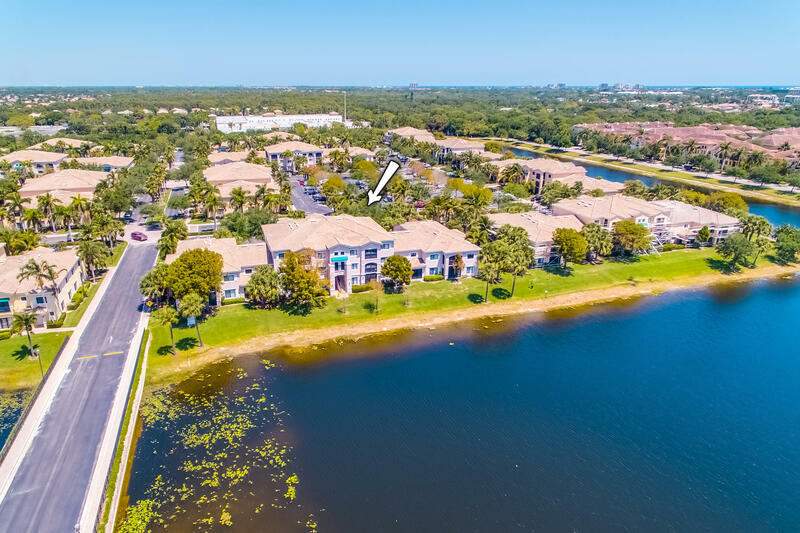 Gorgeous lake views surround this open plan, bright & sunny, 2BR/2BA corner condo located in the highly sought-after, private, luxury resort community of Sarento at San Matera. This beautiful home has many desirable features such as volume tray ceilings, large windows and sliding glass doors, neutral colors, a spacious master suite with a huge walk-in closet, full-sized in-unit washer & dryer, open-concept kitchen with spacious white cabinets and a breakfast bar, and an expansive covered, screened-in balcony overlooking the lake and surrounding lush tropical landscaping. Convenient and within walking distance to the Gardens Mall.